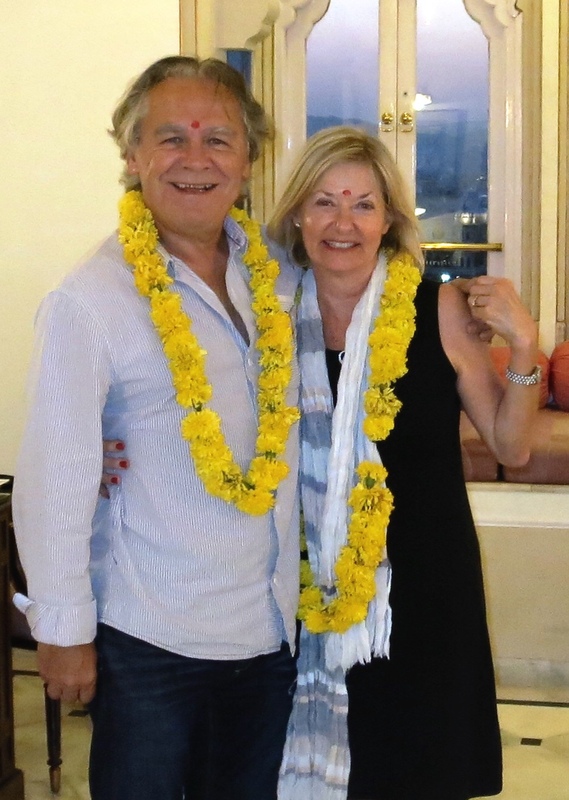 We just got 'lei'd' in India....and red dotted. 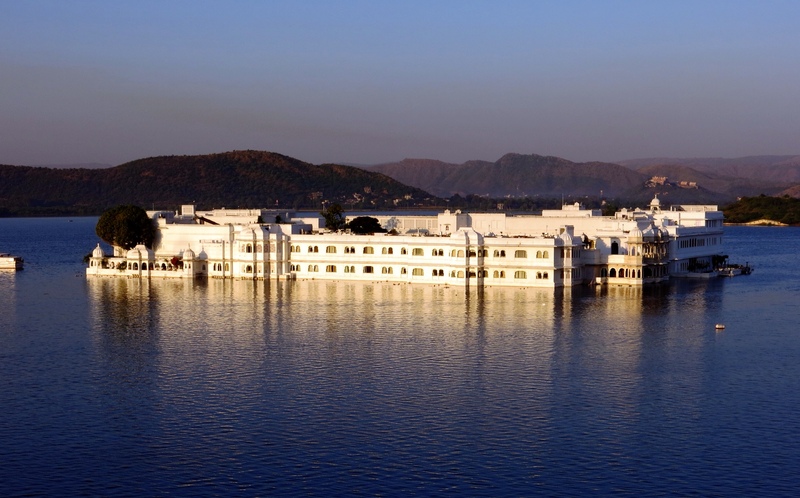 By now, our driver Dev Singh ( or DS) and his/our vehicle is well on it's way to Udaipur, awaiting our scheduled arrival at 12:30 am, so we are free once again to ignore his advice and explore Delhi alone. We leave the IH by the front entrance, and go to turn left towards Connaught Place ( CP). Of course, no sooner have we taken half a dozen strides than we are approached by a TukTuk driver ( white people are incapable of walking anywhere, seems to be the view) who offers to take us to CP for 100 rupee( $2) “No thanks, we need the excercise, we'd rather walk” I tell him. ” In that case sir, you are taking the wrong way, you should be turning right… it's a short cut” I tell him that I know the way, but Memsahib lets me know in no uncertain terms that the TukTuk man surely knows Delhi better than me…”so why dont you listen to his advice”. Not wanting an argument, we do an about face and turn right. At the first corner we are told by another TukTuk driver to go up there…a narrow laneway… and then turn right, then left, and you'll be at CP…no worry sir! Turn left, then right we do…. when we are approched by our first TukTuk driver, who has been discreetly following us, and offers to take us to CP for 50 rupee ($1)….. “it's not the money” i explain,” even if it's free we'd rather walk”. 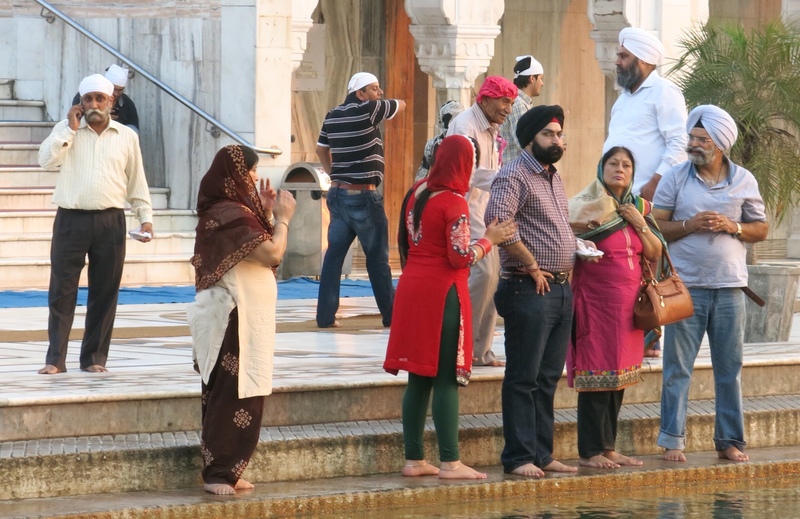 This is something he just cannot get his head around, even without his turban….. “OK, 30 ruppee then” “No,we want to walk” ” Sir, 20 rupee only, please” (that's 40 cents). Again, we decline, and proceed on our way…. 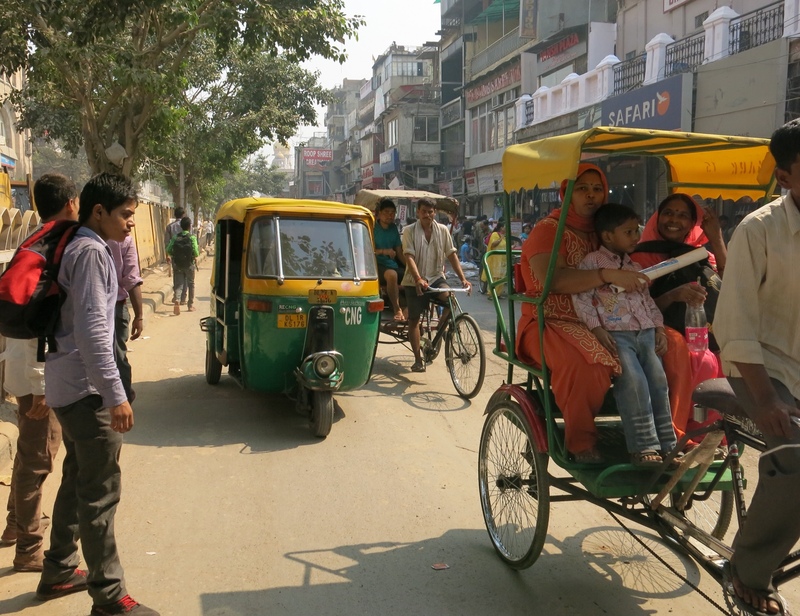 but he has more advice for us….” You are going wrong way….that way to Connaught Place” he tells us, pointing in the the opposite direction to where I was certain the direction to CP was. This time I ignore his advice, and proceed on. After a few hundred Metres it dawns on me that by now we should have reached CP, but our luck seems to be in, as we strike up a conversation with an Indian man walking in our direction, who asks where we are from, and where heading to. He's on his way to work, a mechanic he tells us, and CP is on the way, follow me, we take a short cut through the temple. The temple is the Sikh temple we visited a couple of days ago, and it didnt strike me then as being anywhere near Connaught Place. I realise that this mechanic only wanted someone to talk to on his way to his job, and had no intention of showing us the way to CP. You might ask why we dont have a map with us…..but I didn't think it neccesary. After all, CP is only about a 5 minute walk from the hotel….if you turn left!!!! By now we've walked for about 2 hours and still have absolutely no idea of where we are. Despite asking numerous passers by, who all give conflicting and confusing directions, we realise we are hoplessly LOST. Time is passing, and we really do need to get back to the Imperial pretty soon if we are to be in time for our airport pickup. 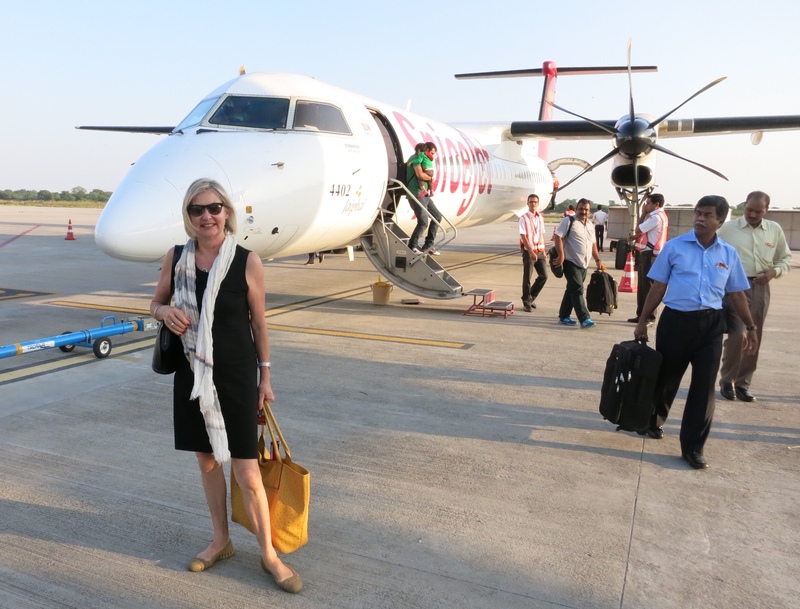 I can tell by the worried expression on Memsahib's face that she is very concerned also. A passing TukTuk stops in front of us, and I ask him if he knows the way to the Imperial Hotel….I am not concerned with how much either, just as long as he gets us there quickly…. he tells me he only wants 80 rupees ( $1.60) so we hop in, hold tight, and join the crush of traffic heading in all directions….. another fun ride, but where is the small statue of Ganish when you need him? The room , while very comfortable, large and opulent, has a 'Fawlty Towers' kind of feeling about it…. not everything works properly….especially the plumbing ( what do you expect, it's 700 years old) but we love it…. 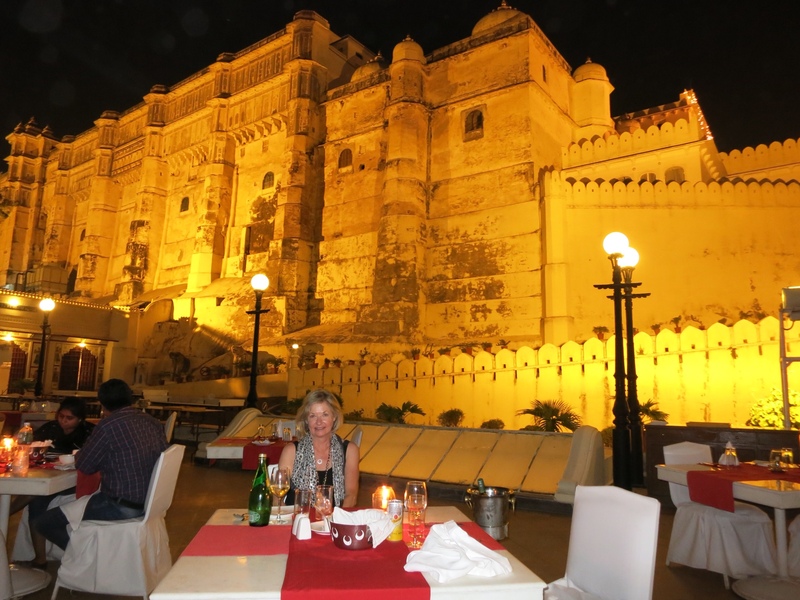 they call Udaipur Dinner on the terrace tonight, then tomorrow a full day of touring with our new guide Mr Umad….. surely Peter Sellers must be a relative of his……. oh my goodness yes! I’m loving the posts, keep them coming.